Patriots head coach Bill Belichick‘s decision to bench cornerback Malcolm Butler in Super Bowl LII was one of the league’s top storylines immediately after the Super Bowl, and even though Butler had unequivocally stated just a few days prior that he wanted to remain in New England in 2018 and beyond, the benching suggested to everyone that Butler would not be returning to the Patriots. And indeed, although reports suggested that a number of teams expressed interest in Butler, who became an unrestricted free agent in March, the Patriots were not one of the teams named in those reports. But Ian Rapoport of NFL.com writes that New England was, in fact, open to a Butler return. The team reportedly told Butler’s agent to reach out if he could not garner a free agent contract to his liking, and Rapoport even suggests that the Pats were prepared to pay Butler $10MM per season. That report is even more surprising in light of the fact that the Patriots were prepared to trade Butler to New Orleans before the 2017 season even began and again at the 2017 trade deadline. Of course, Butler ended up accepting a five-year, $61.25MM contract with the Titans, and Tennessee may now be wishing that Butler had taken New England up on its offer. Butler regressed in 2017, and he has not been able to return to form in Nashville. Advanced metrics peg him as one of the worst cornerbacks in the game this year, and although Rapoport confirms a report from earlier this week that the Titans do not plan to relieve Butler of his starting duties at the moment, he will need to improve considerably in order to play out the remainder of his contract. Butler will have a chance to rebound against his old team today, as the Patriots are in Tennessee for an early afternoon matchup. It does not appear the Johnny Manziel saga will return to the NFL until at least the end of the decade. Manziel’s two-year contract with the CFL’s Hamilton Tiger-Cats is a binding deal, and CBS Sports’ Jason La Canfora tweets no escape clause for the purposes of venturing to the NFL exists in the league’s collective bargaining agreement. The CFL previously voted on a possible escape-hatch option, but the proposal was rejected. La Canfora adds Manziel’s professional football options will come exclusively in Canada for the next two years (Twitter link). The NFL may be a faraway bridge considering how the former Heisman Trophy winner fared in his two years with the Browns and the many months that went by without any team showing significant interest. As for Manziel’s deal, La Canfora reports (on Twitter) the 25-year-old passer will earn a $122K base salary in 2018. An additional $10K signing bonus is included, as well as an $18K housing stipend. La Canfora adds $10K escalators will trigger if Manziel hits six-, 10- and 14-game benchmarks this season. He’ll receive a $120K bonus if he plays in half the snaps, per JLC, and a $75K offseason bonus is due on March 1, 2019. Manziel’s 2019 salary spikes to $202K, and the same incentives are present. In supporting his former Seahawks teammate, Richard Sherman revealed a bit about Earl Thomas‘ goals for what will be his third NFL contract. “I think Earl Thomas deserves the money he’s asking for,” Sherman told former teammate and current NFL Network analyst Michael Robinson on Saturday (via NFL.com). “I think he deserves to be compensated as the top safety in the league. Whether Seattle does that or not is up to them.” Financial figures haven’t really emerged regarding this potential standoff, but if the Seahawks are to pay top dollar for their three-time All-Pro defender, it will cost them more than $13MM per year. And that could be a bridge too far for a retooling team that’s dangled Thomas in trades. When Thomas agreed to his initial Seattle extension, his $10MM-per-year salary paced NFL safeties. Five are now ahead of him. Hue Jackson has repeatedly said he would like Tyrod Taylor to start throughout this season. But cleveland.com’s Mary Kay Cabot does not see the Browns opting to re-sign Taylor after this season. She expects Mayfield to make a serious charge for the starting role at some point this season. If it turns out Taylor is a catalyst that leads the Browns to a major turnaround, Cabot expects him to hit the market as a coveted commodity — and one the Browns will not be paying for — in 2019. The Chargers drafted Kevin White‘s younger brother, Kyzir White, in the fourth round. And the Bolts will move Kyzir from safety to linebacker, Albert Breer of SI.com notes. Denzel Perryman has one of Los Angeles’ linebacker spots locked down, with Kyle Emanuel and former seventh-round pick Hayes Pullard tentatively slotted in the other spots. The Bolts also drafted USC’s Uchenna Nwosu in the second round. But it doesn’t appear White will factor into the Bolts’ safety picture behind Jahleel Addae and Derwin James at this time. The Saints gave UDFA tight end Deon Yelder $90K guaranteed to sign, Joel Erickson of The Advocate notes. A former wide receiver recruit at Western Kentucky, Yelder spent time behind current Rams tight end Tyler Higbee and current Seahawks left tackle George Fant while with the Hilltoppers prior to receiving plenty of playing time last season. New Orleans has struggled to replace Jimmy Graham and recently cut Coby Fleener. Yelder will try to make a team that has 37-year-old Benjamin Watson and Josh Hill atop its depth chart. In a lower-stakes matter, the Patriots have $215 committed to Malcolm Butler on this year’s payroll, per Ben Volin of the Boston Globe. Apparently, one day of workout cash last offseason didn’t get tallied until now. Three years ago today, the Patriots signed several rookies, including fourth-round pick center Bryan Stork and sixth-round guard Jon Halapio. However, New England’s most important move seemingly flew under the radar, as they also signed an undrafted free agent who’d go on to become a Super Bowl hero. On May 19th, 2014, New England inked undrafted rookie Malcolm Butler to a deal. The West Alabama product was plenty productive during his collegiate career, earning himself a pair of First-Team All-GSC nods. However, the cornerback ended up going undrafted in the 2014 draft, and it took him more than a week to finally latch on with an NFL team. Butler was surprisingly productive during his rookie campaign, compiling 15 tackles and three passes defended for New England. However, his most notable performance was during Super Bowl XLIX, when he picked off a Russell Wilson pass attempt for the championship-winning interception. 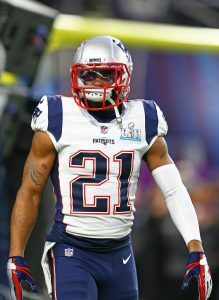 Butler parlayed that Super Bowl performance into a starting gig with the Patriots, and he proceeded to earn a 2015 Pro Bowl appearance after finishing with 67 tackles, 15 passes defended, and two interceptions. Following another productive 2016 campaign, Butler and the Patriots seemingly butted heads during the 2017 offseason. The team assigned a first-rounder tender to the restricted free agent (which he ultimately signed), and they proceeded to sign Stephon Gilmore to a lucrative $65MM contract. Butler was demoted to the second spot on the depth chart, and the Patriots’ manipulation of his contract situation led to some ill will. Butler was productive again in 2017, but he was mysteriously benched during the Patriots’ Super Bowl loss to the Eagles. Butler ended up bolting for Tennessee back in March, signing a five-year, $61MM contract ($30MM guaranteed). Fortunately for the Patriots, they probably never expected that kind of production from an undrafted rookie. On the flip side, when Butler made the game-winning interception during the Super Bowl, they probably never thought that he’d willingly leave the organization three years later. Labeled as a frontrunner in the bidding to become the new Panthers owner, businessman Ben Navarro will make a visit to the team’s facilities next week, Joseph Person of the Charlotte Observer reports (Twitter link). Person also notes another suitor, Alan Kestenbaum, was in on Wednesday. A vote on a new owner is expected to take place during late-May meetings in Atlanta, according to David Newton of ESPN.com, who adds a reported sale price of $2.5 billion could potentially be a bit inflated. The last franchise that was sold, the Bills in 2014, went for $1.4 billion. According to Albert Breer of the MMQB, Navarro is already being vetted by the NFL. The South Carolina businessman is the founder of Sherman Financial, but some owners have had concerns about how Navarro made his money. Navarro and Kestenbaum are joined by Steelers minority owner and hedge-fund billionaire David Tepper as the perceived top contenders to acquire the franchise. The reported sale price has already helped one potential suitor, Michael Rubin, withdraw his name from the running. Rubin’s group reportedly included Sean “Diddy” Combs and two-time NBA MVP Stephen Curry. 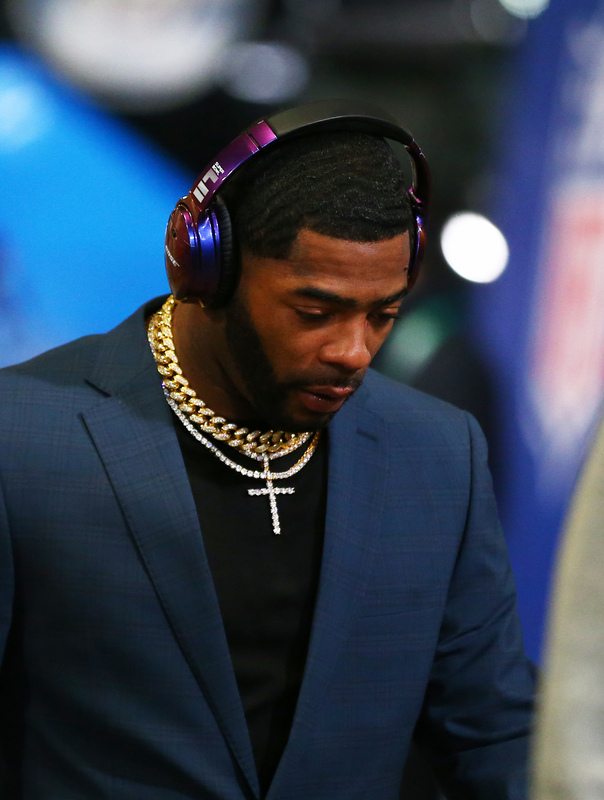 Thanks to a video produced by Sports Illustrated, we have some insights into the offers received by cornerback Malcolm Butler before he agreed to sign with the Titans. Early on, the Bears pitched him on a three-year, $30MM deal while the Texans offered a one-year contract (value unknown). It seems that Tennessee greatly outbid the other suitors after signing him to a five-year, $61.25MM deal with $24MM fully guaranteed. For their offseason so far, the Jets have received a grade of B- from ESPN’s Rich Cimini. Considering the team whiffed in its pursuit of Kirk Cousins, that’s not a bad grade to receive. Cimini cites, among other things, the team’s addition of Trumaine Johnson as the team’s most significant offseason signing so far. Su’a Cravens, who was acquired by the Broncos from the Redskins earlier this week, told Nicki Jhabvala of The Denver Post he wanted to play for a team that wanted him. “I can tell that Denver actually wanted me on the team. It wasn’t just, ‘This is smart for our team,” he said. Cravens sat out the entire 2017 season as a member of the Redskins. “I never felt like I could be myself with the Redskins. It’s a blessing obviously to be drafted by the Redskins and I will always thank them for giving me my opportunity. But I just think after my rookie year when I had those injuries, I just felt like things kind of changed. Malcolm Butler and Logan Ryan are reuniting. This time, it’s in Tennessee. Butler intends to sign with the Titans when free agency formally opens on Wednesday, according to ESPN.com’s Adam Schefter (on Twitter). Butler gets a five-year contract worth more than $61MM, according to Ian Rapoport of NFL.com (on Twitter). The deal includes more than $30M guaranteed. Butler had interest from multiple teams, including the Texans and the Saints. The Jets, who are said to be seeking two starting-caliber corners, also likely had Butler high atop their list. A return to incumbent Patriots, meanwhile, seemed unlikely after Butler was benched for the overwhelming majority of the Super Bowl. Had Butler reached unrestricted free agency last offseason, he would have had piles of money thrown at him. However, he was a restricted free agent and the Pats prevented him from joining the Saints when they could not agree to terms on a trade. This time around, Butler was an unfettered free agent and still got paid oodles of money, despite coming off of a down year. Butler will now collect more than the tentative agreement — four years, ~$50MM — that he’d agreed to with the Saints in 2017. The Patriots, meanwhile, never offered Butler more than $7MM annually. The Texans are among several NFL teams with interest in cornerback Malcolm Butler, sources tell Aaron Wilson of the Houston Chronicle (on Twitter). As reported earlier today, the Saints are also among the teams looking into the Patriots free agent. Butler was conspicuously absent from the Super Bowl and did not look like his usual self in 2017. Still, he stands as one of the very best cornerbacks available in this year’s crop. Last week, PFR’s Dallas Robinson ranked Butler as the No. 2 CB available, ahead of Bashaud Breeland, E.J. Gaines, Morris Claiborne, Aaron Colvin, T.J. Carrie, Patrick Robinson, Nickell Robey-Coleman, Prince Amukamara. He trailed only Trumaine Johnson on the list. Cornerback is high on the Texans’ agenda after Kevin Johnson disappointed and Kareem Jackson turned in an up-and-down season. In hindsight, the Texans probably wish that they made a stronger effort to retain A.J. Bouye last offseason.